Dietary fat is often villainized, when it should be celebrated and praised. It’s one of the three vital macronutrients that the body requires in order to function properly. Amongst many other things, fat plays a key role in the endocrine system–which is responsible for producing every hormone circulated through the body and bloodstream. Hormones are the body’s chemical messengers that help maintain homeostasis and balance. Raw butter is unprocessed, unheated, unpasteurized and unhomogenised butter fat which comes from cream. This means that raw butter contains all of the necessary vitamins and minerals that nature intended it to contain. The aforementioned processes strip and denature the make up of the butter such that it is no longer the nutritional powerhouse it once was. Contrary to popular belief, pasteurized dairy products are to blame for the wide spread intolerance of lactose and casein. The lactose and casein are perhaps not the problem. The problem lies in the manipulated dairy products. 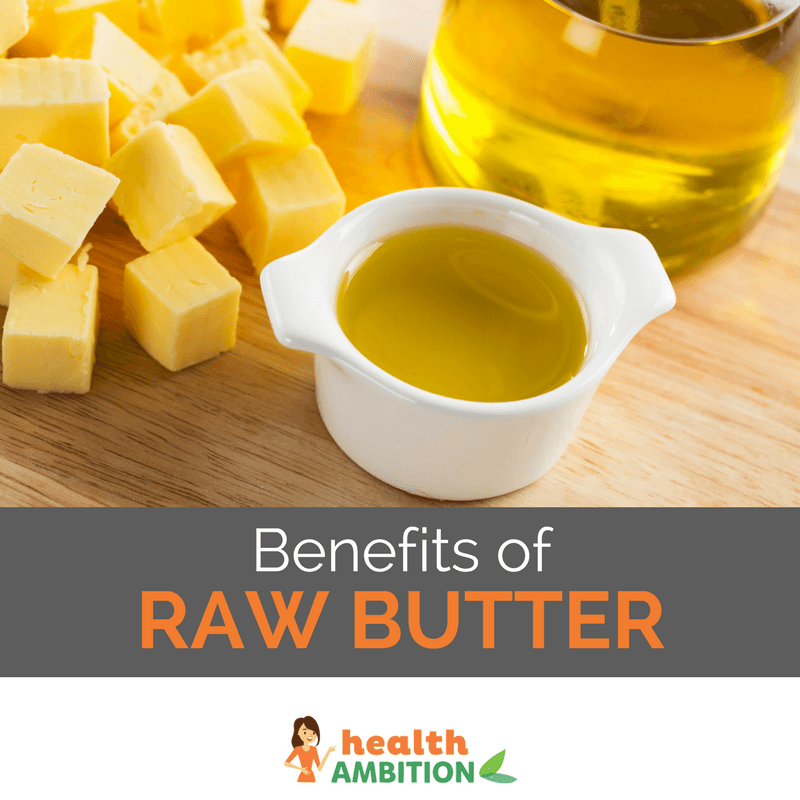 Raw butter (as well as raw milk) is completely safe and can be a huge contribution to your overall well being. Pasteurized dairy products are merely everywhere. These products, contrary to what the masses have been trained to believe, are not produced or packaged to benefit our health. They often contain hormones and artificial ingredients added to increase the shelf life of the product. Pasteurized dairy has also been heated (which denatures the proteins and decreases its nutrient content) and artificially boosted with synthetic (not naturally-occuring in milk) vitamins and minerals to replace what’s been stripped out of the milk. Why would big box dairy companies do this? This happens because money and profits still drive much of the food industry–thus, we are deceived into thinking that this milk is good for us when it’s made entirely to increase profit margins. The end product is something that can withstand more time in the refrigerator–but is in no way good for you. Pasteurized milk and butter are an unfortunate norm. Luckily, you can take the initiative to research your local farms and hopefully find sources of these raw superfoods for you and your family to thrive off of. It’s the tragic reality that raw dairy is illegal to sell for human consumption in most US states. Though retail sale of raw dairy products is prohibited in many states, some states are allowed to sell from farms (with limitations still put on promoting this). Some farmers will market their raw milk for pets, but it is extremely healthy for humans as well. As time passes, the hope is that there will be more awareness about the contents of pasteurized milk and the benefits of raw milk. This will perhaps help increase the amount of farmers who are bottling and selling raw milk; thus making it more accessible to the vast majority of people. Do consider sharing this article on Facebook so that we can spread awareness of this and hopefully bring about change in our government which will allow us to once again make our own informed choices without the government treating us like children.